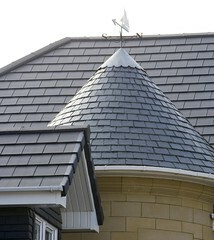 Roofapedia is your one stop shop for roof advice and practical information to help you care for your roof properly. Developed in partnership with a group of roofing suppliers and installers from across the industry, our aim is to equip you with roof advice to make informed decisions when it comes to repairing, improving or, if necessary replacing your roof. Having your roof replaced could be cheaper than you think, however, the cost will vary depending on the roof covering chosen. 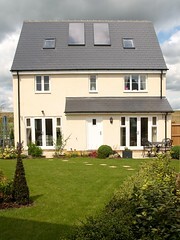 These choices are often made by the local planning office or left to the installer. However, as a home owner it pays to get involved and understand what your options are, especially since a new roof should last you a lifetime. 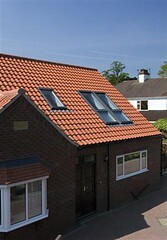 Do I have a choice over what roof tiles I have on my roof? I have damp patches on the roof timbers what should I do? Which is best, mortar bedded or dry fix roof? 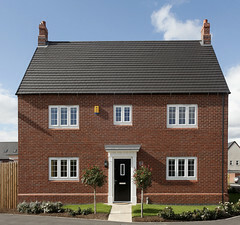 How can I get further information on Building Regulations? The mortar in my verges is leaking, what shall I do? What do I need to do if I have bats in my roof space? Roofapedia has teamed up with the National Federation of Roofing Contractors (NFRC) to ensure that you choose the right person for the job. Our Tyler, a fully trained and highly respected roofer, has a new blog bursting with info. Got a problem with your roof? Not sure what to do about it? Don't be too eager and jump into it without prior knowledge. Ever heard of Gobbo or Sicilians? Find out what they mean here!